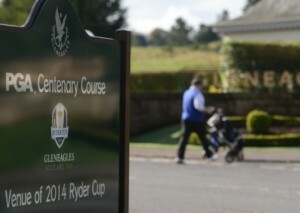 Manchester-based online sports retailer Kitbag has been announced as the official retail partner for the 2014 Ryder Cup. The deal will see Kitbag run the on-site merchandise pavilion at Gleneagles, where the hugely popular event - the world's third most watched sporting event behind the World Cup and the Olympics - will be held from September 26-28. The retailer has already secured the contract to operate the event's online shop for both Gleneagles and the 2018 match in France, in conjunction with the French Golf Federation. Kitbag will now also operate an online shop to enable Ryder Cup partners and their guests to purchase corporate and hospitality merchandise for the biennial event. Andy Anson, chief executive at Kitbag, said: “As we value our existing agreement with Ryder Cup Europe very highly, it was a very exciting progression to further our involvement by becoming the official retail partner for 2014. Kitbag, which in the year to the end of March grew sales by 16% to £70.3m, was recently awarded a contract to support the online sales of the Tour de France this year, and also renewed its contract with Formula 1 for three years.